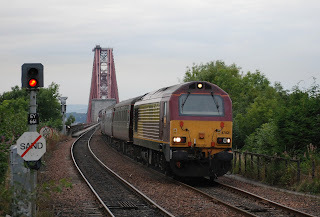 A Scotrail 170 approaches North Queensferry on the Forth Bridge back in 2010 before the 'endless' task of painting it finished! hands of Class 68 locomotives from DRS. In early July 2015 the Forth Rail Bridge in Scotland was officially awarded 'World Heritage Status' by UN's cultural committees meeting in Bonn. The bridge, completed in 1890 was the longest cantilever bridge in the world at it's time of construction (today it is surpassed only by the Quebec bridge in Canada) spanning the Firth of Forth between Edinburgh and Dundee in Scotland. 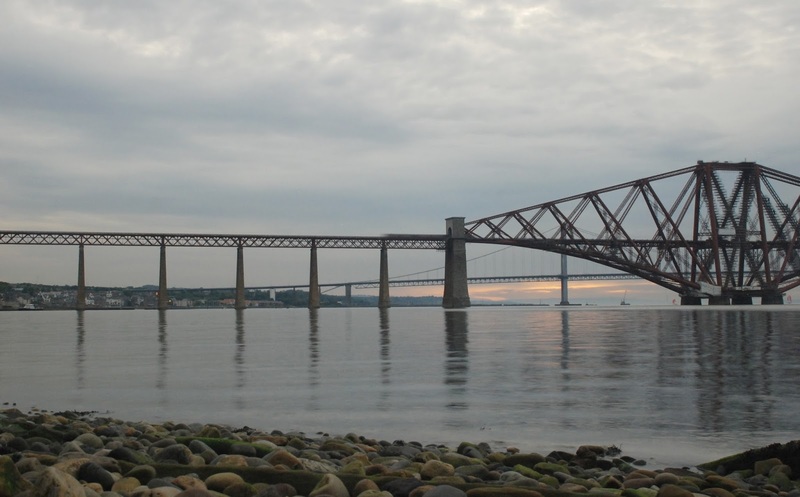 The bridge was designed by Sir John Fowler and Benjemin Baker to a grand design (partly to reassure the public after the collapse of Thomas Booche's spindly Tay Bridge which disastrously fell into the Firth of Tay in 1879. 125 years since its completion the Forth Bridge is still carrying up to 200 trains a day and with it's heritage status, also awarded to to structures such as the Pyramids of Giza and the Great Wall of China it is set to be preserved for the future as a Scottish Landmark. The bridge is famous for the 'Never ending' task of painting it. A constant maintenance crew have been based on the bridge for much of it's life- however in 2011 Network Rail completed a re-pair and repaint on the bridge which will will last for the next 20 years. A Scotrail DMU looks somewhat insignificant against the vast Forth Bridge and the firth below.